To design Riba, an Italian and businessman, Arturo Isola, the owner, was looking for an architect who was aligned with his ideas and therefore he invited SuperLimão Studio to give life to the new space. 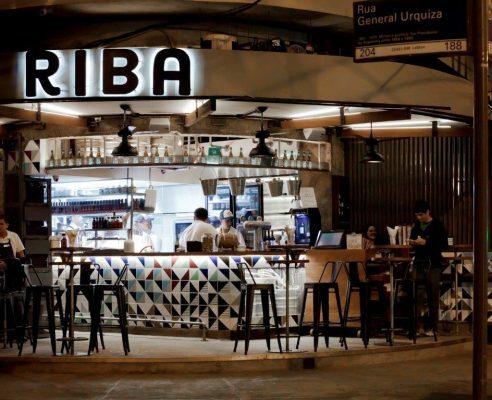 The SuperLimão Studio brought two teams to join and materialize the ideas: André Piva, as a local architect, and Laika Design, responsible for creating the brand and the entire visual identity of Riba. 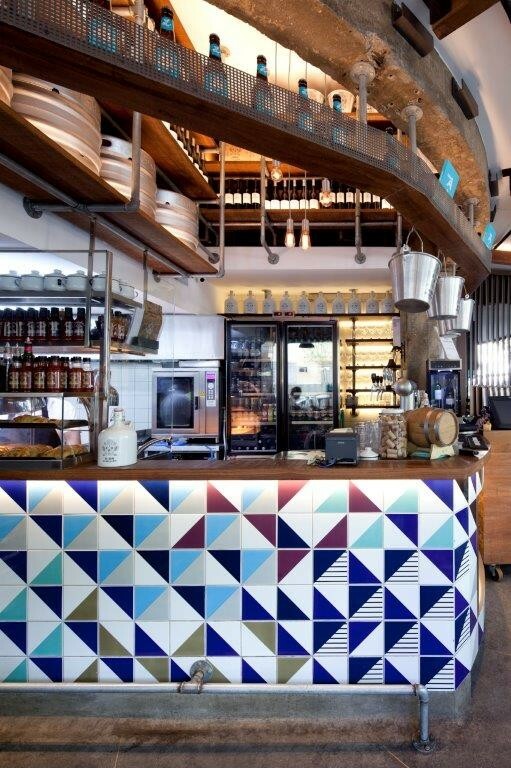 Small in size and rich in details, the project tried to integrate internal and external areas. Free of doors, the floor of the sidewalk makes the bar appropriate the corner and the sidewalk appropriate the bar. The peeling walls reveal the structure of the building with its concrete porch, framing and enhancing the heart of Riba: the kitchen and the counter. 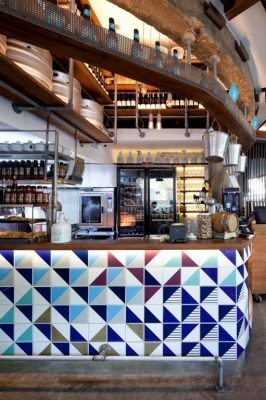 In contrast with the rusticity and sobriety of the concrete, the walls and the counter were coated with the more traditional material of the ‘dirty bars’ from Rio: the tile. 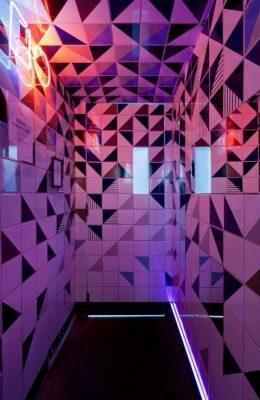 For this, it was called Studio Lurca, who mapped all the plans to create a large horizontal panel that runs the bar as a great splash of colors, enhancing the corner where Riba is located. 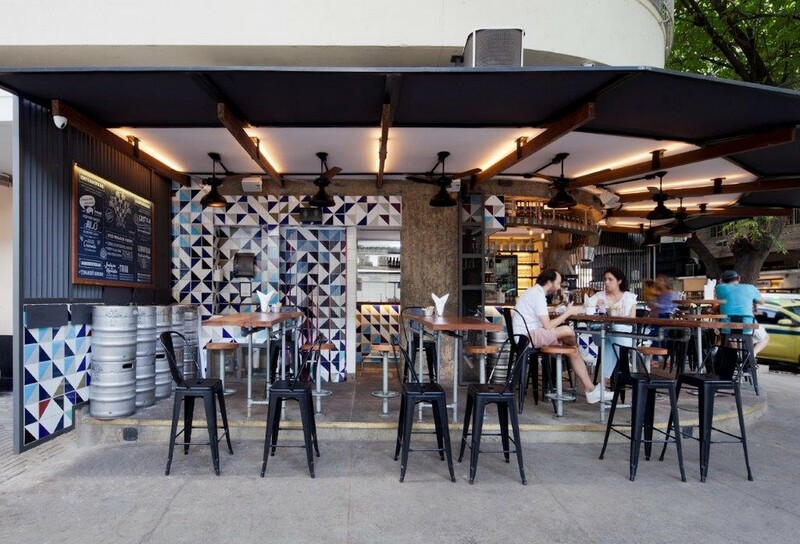 The counter purposely placed in the corner with its large glass window has the most modern system cooling, which ensures that the craft chopps are always served at the perfect temperature. With a wide variety of tables, desks and benches, all the furniture was designed to cultivate the chat with friends. 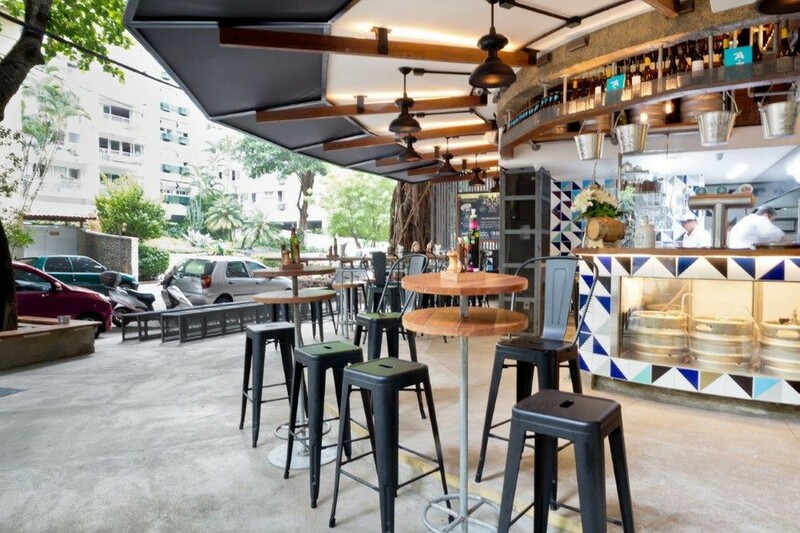 Details for foreign benches, as well as the bike rack, fulfill a dual function, closing the bar at night. In the bathrooms there are no limits between wall, ceiling, doors. 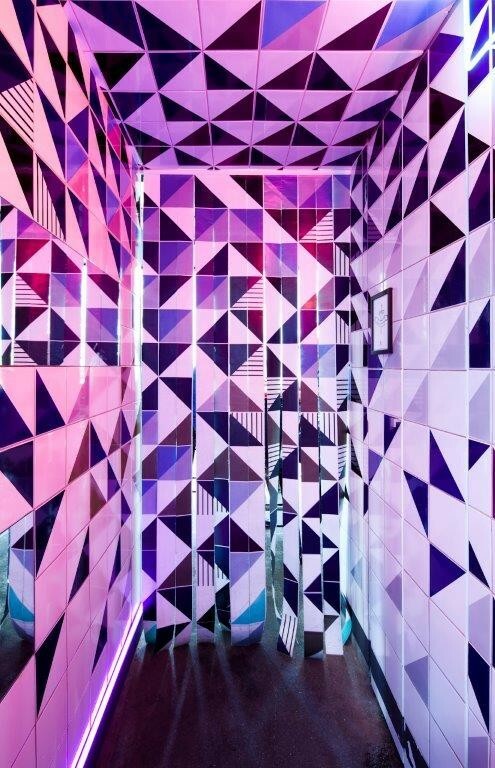 The tiles invade the entire space, which emphasized by lights and mirrors make the visit a real journey. 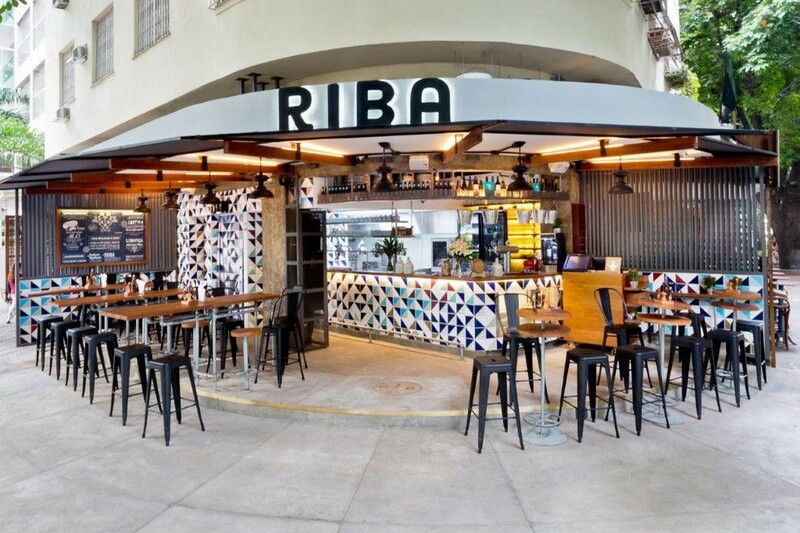 To gather friends, philosophizing about life on Sunday after beach or to comment the yesterday’s game, Riba begins with the air of a place that has always been there and always where we want to be. SuperLimão Studio is a multidisciplinary team of creative minds. The studio practice focuses on the challenge of identifying human behaviors and design projects through many areas of architecture and design, considering the interaction between human and multiple environments. The SuperLimão Studio‘s aim is to comprehend the influence of space flows and activities as an extension of individual behavior. Based on that, they try to generate potential tools to help develop new technologies. The architects studio look up for new aesthetic languages inspired on the everyday life gathering functionality, simplicity and pleasure. Expertise and experience in different engineering areas are applied to their work in order to offer a careful service in all project process, from creation until the complete work. The architects’ mission is to innovate on design processes and space concepts, questioning pre existing models. Furthermore, highlight possible failures and successes and look after enhance innovative design development techniques. Respect, consistency, integrity. The architects’ design values are fully based on transparency with our clients, in order to identify and permeate their concepts and realities. This way they are able to understand the entire picture and synthesize this information into spaces that provide complete experiences. 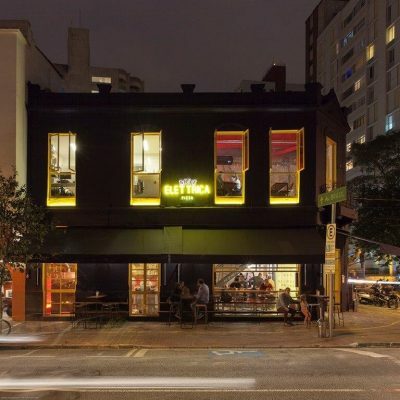 In the past 14 years the architecture studio executed more than 70 projects, in which they contributed to the creation of new business and repositioning of brands. SuperLimão creative team is committed to turn architecture into a tool for the realization of the ideas. Instagram @superlimao / www.superlimao.com.br.